The teenaged son of a Baptist pastor is forced into a gay-conversion program by his parents, in actor-director Joel Edgerton’s emotive drama starring Nicole Kidman, Russell Crowe, and Lucas Hedges. Everyone wants to belong — but what good is belonging if you can't be yourself? Starring Oscar nominee Lucas Hedges and Oscar winners Nicole Kidman and Russell Crowe, actor Joel Edgerton's second feature as writer-director plunges us into the cloistered world of conversion therapy and tracks a young man's uphill journey from ostracization toward self-acceptance. Jared (Hedges) belongs to a loving middle-class Arkansas family, with his mother, Nancy (Kidman), and Baptist minister father, Marshall (Crowe). Jared gets good grades, plays basketball, and is in a steady — but chaste — relationship with a girl from school. Everything in his life is going according to plan until a college friend outs Jared as gay. Surprised, but attempting to be supportive in their own way, Jared's parents send him to Refuge, a church-supported program predicated on the notion that homosexuality is an affliction, curable through confession, and the reinforcement of gender stereotypes. Overseen by Victor Sykes (Edgerton, in a superbly cagey performance), the program's bullying and bigotry fosters an environment that is anything but a refuge. Though Jared begins the program desperate to be healed, he begins to wonder if it's really others who need healing. BOY ERASED, which is based on Garrard Conley's eponymous memoir, doesn't take potshots at religious conservatives. Bolstered by uniformly superlative performances — including memorable supporting turns from Flea and Xavier Dolan — the film considers what it means to reconcile one's upbringing with one's own self-respect and moral truths. 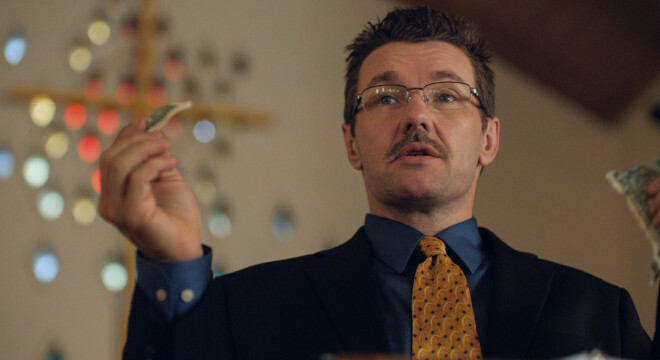 In so doing, Edgerton contributes to a larger conversation that might help heal us all. NOMINATED for Best Performance by an Actor in a Motion Picture - Drama FOR Lucas Hedges; Best Original Song – Motion Picture for Revelation.